Just like an exciting episode of The Apprentice, our Year 10 Business Studies students were tasked with setting up their own retail business from scratch! Using the same budget of £100, each of the 8 teams researched, sourced and priced their stock, then went head to head by selling goods to members of the public. The young traders set up their stalls opposite Pitsea Library and were given 2 hours to sell their merchandise. Plying everything from bath bombs to bird food and socks to sweets, the winners of the challenge would be the team who could make the most profit. Selling was embraced with great energy and enthusiasm. Some of our entrepreneurs decided to approach potential customers in a bid to increase trade, politely asking members of the public if they were interested in purchasing any products. 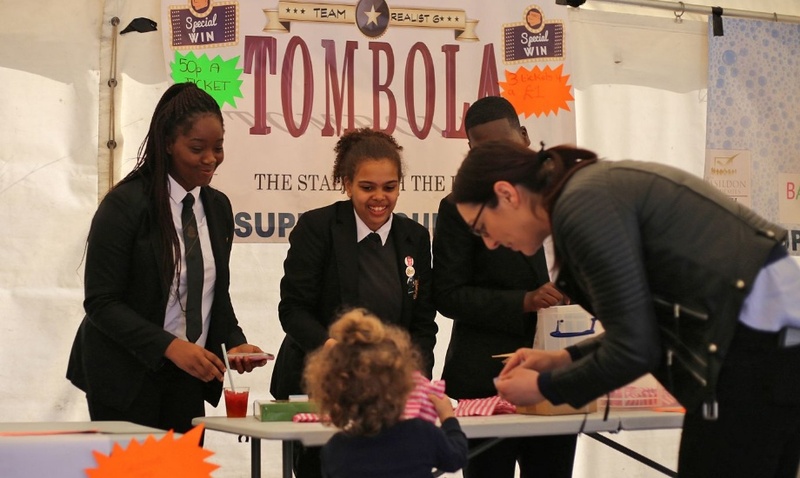 The challenge event is the culmination of a 6-week Youth Enterprise programme which has been delivered at The Basildon Academies by community group, Heart of Pitsea Big Local. “The selling challenge was really enjoyable and it helped put the business skills we had been learning in class to the test. I had fun and my team really pulled together and we came first!” Morgen Coates - Year 10. ‘Bath Bubble Bomb’ was the team who made the biggest profit margin. Congratulations to team members; Morgen Coates, Remmie Cooke, Colby Nicol, Ruhul Miah, Connor Furnell- Aylott & Laszlo Pataki. “It was good to see all the students applying the knowledge and skills that they have learnt in lessons, making the transition from the classroom to the real world. Even though there could only have been one winning team, all the students were winners as they have been able to reflect on how individual and team performance impacts on business success. Students will now have a considerable amount of information to complete their Business Enterprise coursework successfully.” Mr Williams - Head of Enterprise and Social Studies.